Big buffs to his defensive capabilities will be hitting the PTR very soon. Blizzard has been testing a number of Roadhog buffs and is planning on introducing them to the PTR very soon. Principal designer Geoff Goodman confirmed the news in an official forum post recently, and in response to a community member’s suggestion as to what they believed could make Roadhog more viable following his nerf. The new tweaks focus on buffing Roadhog’s defensive capabilities, giving him -50% damage reduction while using Take a Breather, and also allowing him to move at full speed while inhaling. "We're actually testing this exact thing right now internally. Currently we have been play testing Roadhog with -50% damage taken while using Take a Breather, and also allowing him to move at full speed while inhaling. These two changes combined certainly make him significantly more difficult to kill, while also allowing Roadhog players to be much more aggressive when trying to find a hook target, knowing they can survive a lot more easily. "We plan on throwing this up on the PTR asap (along with some other hero changes) so you guys can play with it as well. It’s possible it’s actually too strong right now but we'll have time to iterate on it." 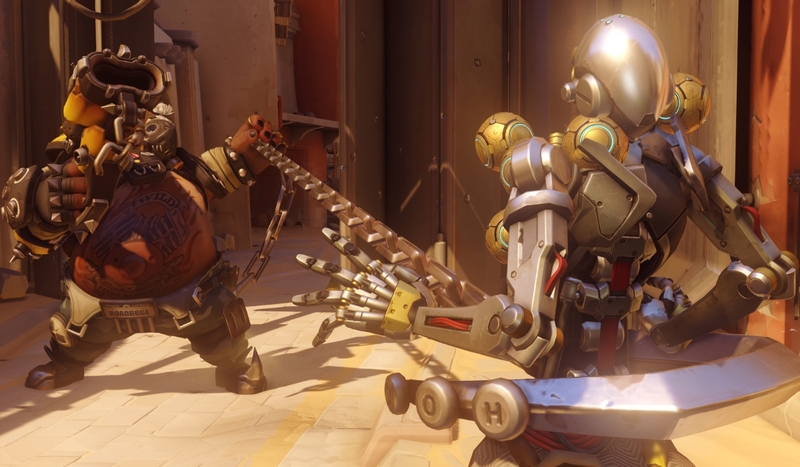 It’s worth noting that these changes will most likely be toned down in the future, but it’s great to hear that Blizzard is firmly backing Roadhog’s new-found status as a offense-oriented tank. By the sounds of things, it could be just the change he needs to put him firmly back into the competitive mix. Other hero changes are on the way in the next PTR patch too, and our bet is on Mercy seeing a small nerf to her Resurrection. There’s been a fair amount of discontent surrounding her Ultimate ability lately, with many players suggesting that there’s not enough counter-play. It remains to be seen exactly what those tweaks amount to. We’ll be sure to test out the changes when they hit the PTR, so keep an eye on our site for the latest details.